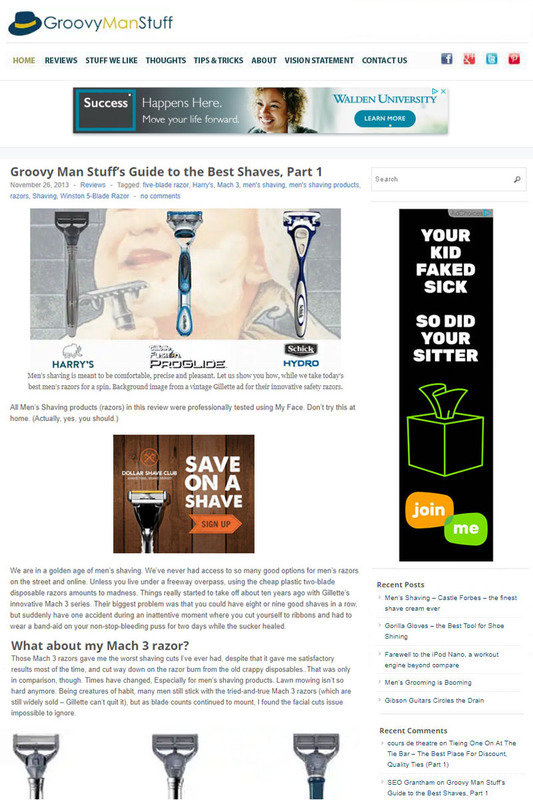 Designed and created Groovy Man Stuff logo, website, and Facebook page for a fledgling men’s style and fashion blog. Articles include product reviews, how-tos, tips and tricks, and general thoughts. The design and many of the graphics are meant to create a retro vibe. And here’s a sample blog post page.